Every year it happens. Content developers, trainers, managers, and LMS administrators get together to learn what’s new and work on improving their elearning skills. And this year, it’ll be momentous. The sessions are interactive and you choose which to attend. OpenSesame is also participating and presenting on Tips to Market eLearning To Your Employees. Even though the speakers and subjects are amazing, there are other reasons besides the conference content that will make you want to attend. Many of our out-of-state presenters were thrilled at the chance to visit Portland—it’s a special place. Here’s a video that gives you a good flavor of what the city is like if you’ve never been. Or if you’ve seen the hit TV show Portlandia, you can come see for yourself how real it is, or isn’t. The event happens in downtown Portland at the Hotel Monaco; a nice gem with plenty of dining, site- seeing and shopping options within blocks. The accommodations are fabulous and the extra amenities are, well, Portland. For example, if you’re traveling alone and would like some company, you can have a goldfish delivered to your room. There is a bike-powered smoothie machine, which OpenSesame is sponsoring during the conference. You can pedal for your own drink. There is no sales tax in Oregon; it probably costs less to shop than where you live. There’s a Tiffany’s near the hotel in case you have an expensive purchase in mind. If you’re a beer drinker, you probably know that Portland has more than 60 microbreweries inside the city limits, more than any other city in the world. And if you’re a foodie, know that we have over 700 food carts throughout the city and some of the country’s best restaurants. We do so much online these days (even conferences) so attending one in person where you get to literally rub elbows with people is refreshing. 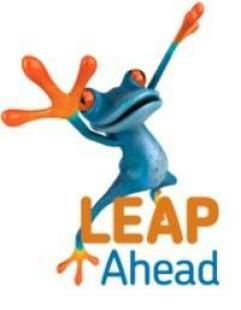 LEAP Ahead gives you the opportunity to meet and learn from others in similar roles. The sessions are interactive, so you can ask questions and share your knowledge. There is a coffee break built into the schedule where you can order a custom espresso drink from our private barista and spend time connecting with the other attendees. The evenings are unscheduled, so you can grab some new acquaintances and get dinner at the restaurant of your choosing. Or we have a few optional activities to choose from, like the Brewcycle. You definitely won’t walk away from this conference without a new network of peers. Learn more about the conference here. Follow the event on Twitter at #leapahead. Renee Seker is the marketing manager at BlueVolt where she helps the LMS company position and promote itself as an elearning solution for organizations with distributed sales channels. Connect with her on Google+ and Twitter.